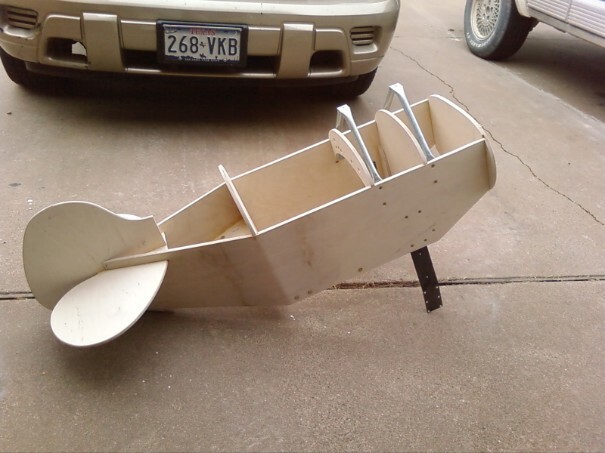 After seeing the first plane I built, my parents wanted me to build one for my yound niece. I decided to paint this one true red and my family asked me to add a little something University Of Oklahoma to it. I added the little OU vinyl graphic in the diamond on the nose. I had planned on building a P-51 at the time and had the plans. I took the system for making the prop turn on the P-51 and adapted it to fit in the Pitts. Construction was basically the same except that I used good birch plywood on this one. It saved me a lot of time on sanding to get a nice, smooth surface. I still epoxy coated it though. All the paints and graphic came from the same suppliers as the first Pitts. 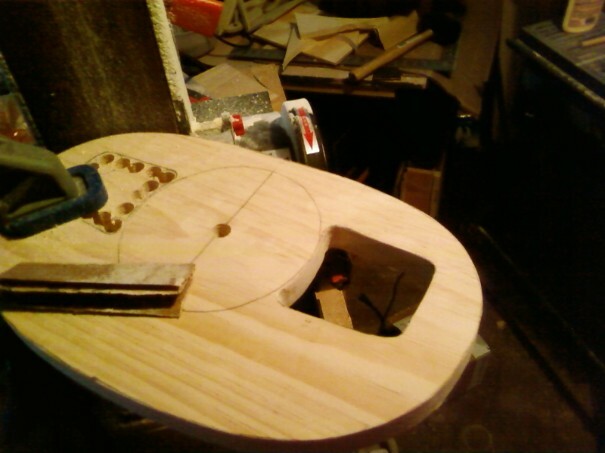 Same basic fuselage stucture, exept that I used good birch plywood this time. Fitting the aircraft sheet aluminum to the fuselage. Just behind the nose plate, the wooden box contains a sound device from RAM r/c products. It produces the sound of a 6 cylinder aircraft engine. It's activated by a button on the instrument panel. The wiring for the sound and lights can be seen behind the panel. You can also see the shaft and pulley which turn the prop when the airplane is rolling. 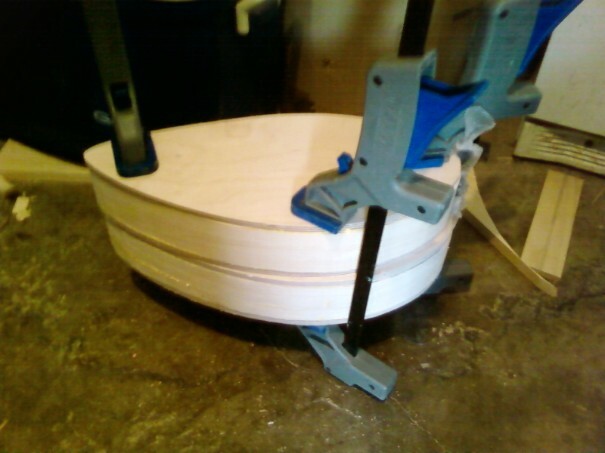 Clamping the sandwiched wood to make the wheel pants. Cutting out the front of the cowling from 3/4" pine. 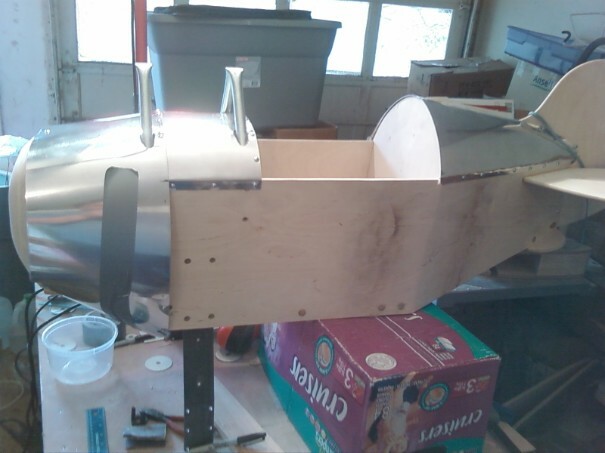 Fuselage, wings, and wheel pants primed and ready for paint. I was told that to make the red stand out better to paint a white base coat before the red. I did so, then reverse masked the fuselage designs. My wife graciously let me bring the plane in the house from the hot garage to apply the graphics. 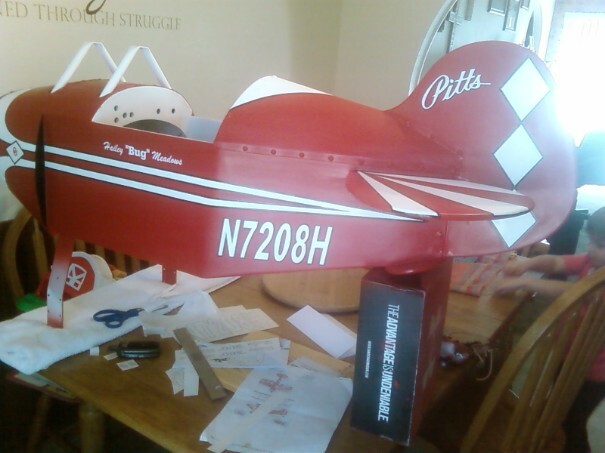 The N-number was purchased from Graphics By Greg and the Pitts logo along with the child name by the cockpit were made by Callie Graphics. I then used automotive pin striping as a border betweent he white and red. 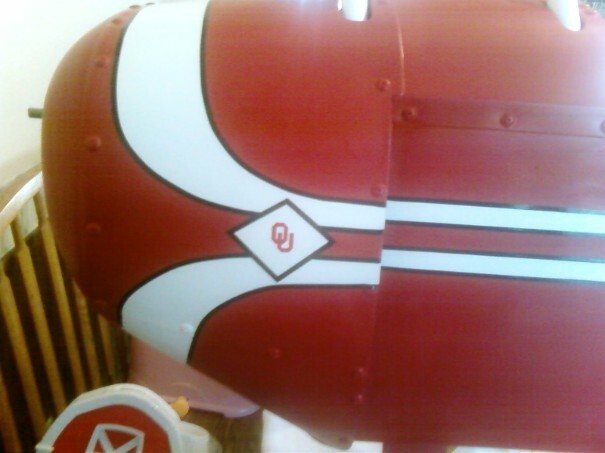 Being from Oklahoma, my family requested to make the plane somehow "OU". Callie Graphics made the OU decal in the diamond. A couple coats of clearcoat and the painting was done. It came out pretty nice. I hated to see it go. I hope my niece has fun with it.